Did you know that approximately 19,000 people visit the Vatican everyday? That many people in such a small place can make things pretty hectic! 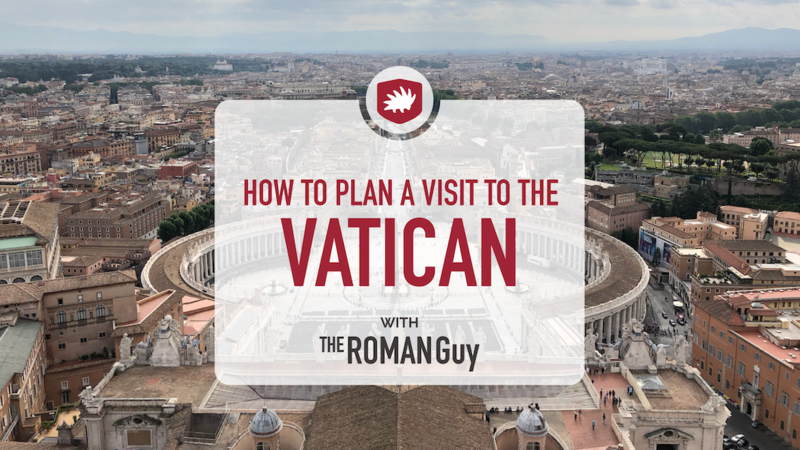 If you plan on visiting the Vatican, think ahead to make the most of your time at the Vatican Museums (including the Sistine Chapel) and St. Peter’s Basilica. Whether you decide to go it alone or take one of our Vatican Tours, read on to learn about how to visit Vatican City. 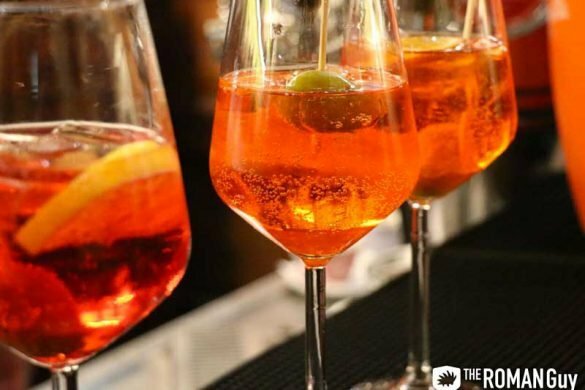 Are you planning a trip to Rome? Vatican City is only one of the incredible places located in the Eternal City. 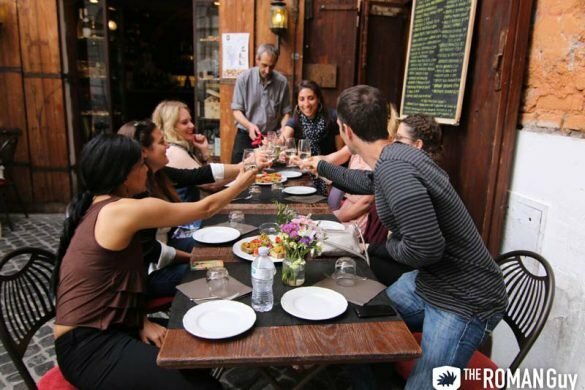 Check out the assortment of available Rome tours we offer at The Roman Guy to make the most of your time in Italy. Skip the lines and access the most authentic experiences possible. If you want to see the Sistine Chapel with NO crowds, book a Vatican Gold Tour. Enter an entire hour and a half before the general public and witness the Sistine Chapel with NO CROWDS! Luckily, Vatican City is super easy to reach. 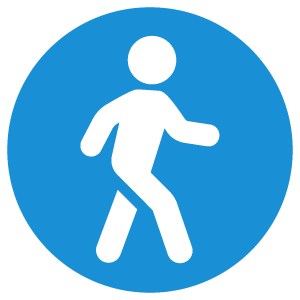 Depending on your preferences, you can either take the Metro, a bus, a cab or just walk. 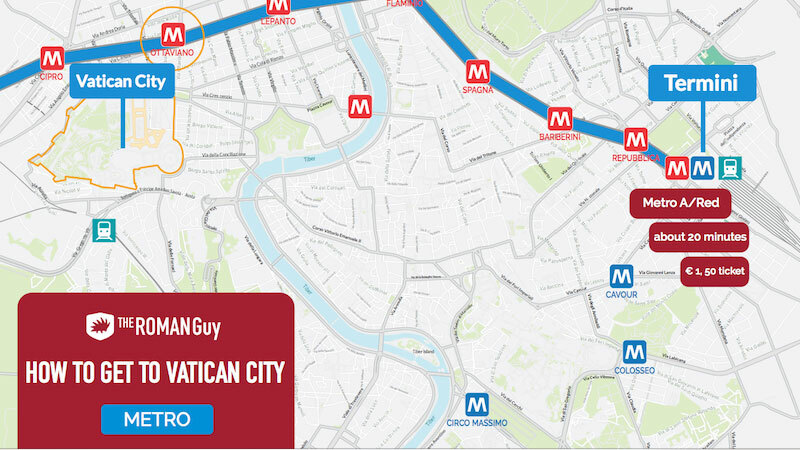 Metro directions: There are two metro stops located near the Vatican Museums entrance: Ottaviano and Cipro. These stops are located on the A line (orange line). Therefore, if you jump on near the Spanish Steps (Spagna) or Termini Train Station, make sure you catch the A line going towards Battistini and get off at either Ottaviano or Cipro. 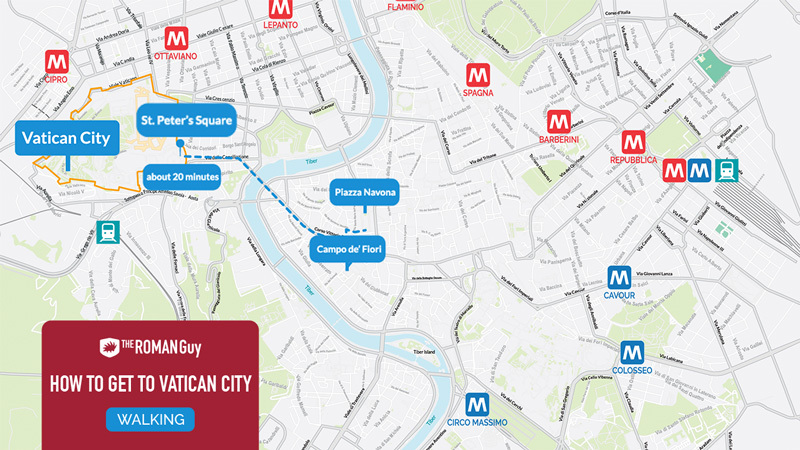 The entrance to the Vatican Museums is a five minute walk away from either of those stops. 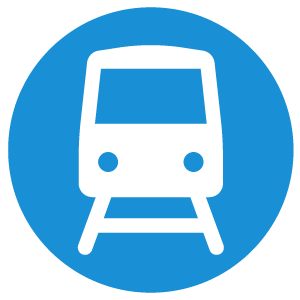 Of course, you can also catch the A line from many other stops, just check the Rome Metro schedule. You can buy tickets at the metro station or a corner store, but not from the drier. Bus directions: From the Termini train station, head outside and get on bus #64. 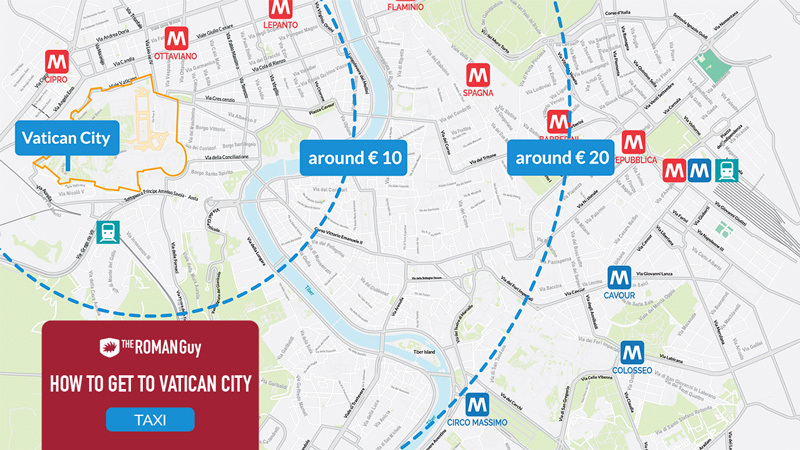 The bus ride will take about 20 minutes, your stop is the last one on the route: P.za Stazione S. Pietro. To get to the Vatican Museums entrance, it’s about a fifteen minute walk from the bus station. You can also take the #81 bus from the Colosseum area (the bus stop is located right outside of the metro station – B line). The 81 bus route ends in Piazza Risorgimento which is a five minute walk to the Vatican Museums entrance. A taxi ride should cost no more than 20 euros if you’re staying in the historic center of Rome. When you get in, tell the driver to take you to the Vatican Museums entrance, otherwise, they’ll take you to St. Peter’s Basilica. The most typical way to get a taxi in Rome is to go to a taxi stand. These are located near every major tourist attraction. If you aren’t located near one, you can always order a coffee and pastry at a café and ask the people working there to call you one. Walk to Vatican City: You can walk if you’re staying near Piazza Navona or in Campo de’ Fiori and the weather’s right. Walking in Rome is an excellent way to see more and get into the rhythm of the city. If you haven’t already downloaded Google Maps on your smart phone, do it! 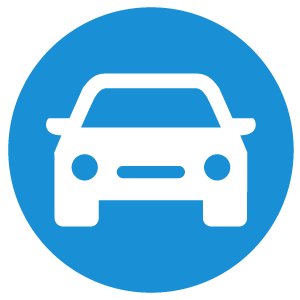 It’s the most useful tool for travel in terms of getting directions. The Vatican Museums don’t wait for anyone. The lines start forming early, so plan on getting there as soon as possible in the morning. Get in line by 7:30a.m. – 7:45a.m. to make sure you’re one of the first members of the general public to get in when the museums open at 9a.m. Regardless of which tickets you buy in advance, use the website and navigate to the appropriate option. There are several options for buying tickets depending on whether you are coming as a family, as a group of adults, by yourself, as a disabled person or even as a pilgrim! The website is a bit confusing, so if you’d rather skip this step, consider reserving one of our Vatican tours. What Does a Vatican Museums Ticket Include? The Vatican Museums are actually made up of several museums and your ticket gets you into all of them. In addition, Michelangelo’s Sistine Chapel is inside the Vatican Museums, so your ticket includes entrance. Again, getting there early is key. The ticket gets you into the Vatican Museums on the day you use it, there is no re-entry. Once you are inside, you may stay as long as you like. A typical visit can last anywhere from 2-5 hours. 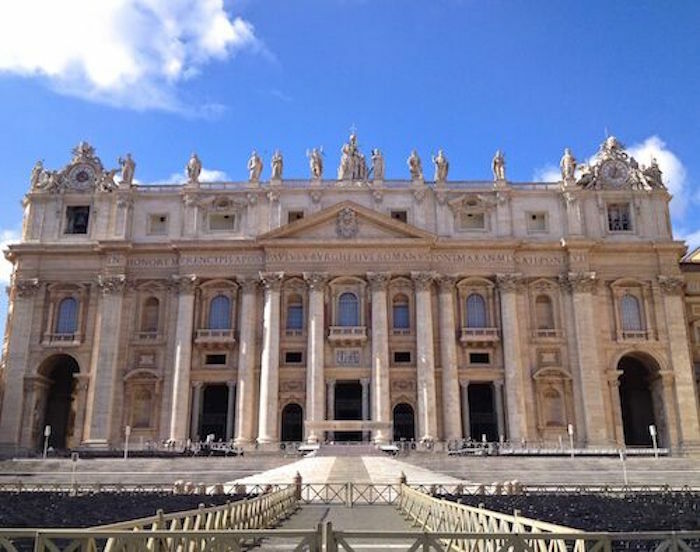 While a basic ticket does not include the audio-guide or any tour, the option is available on the website or through an accredited Vatican tour operator (like us!). Once you’ve got your tickets and you get inside, the next challenge is figuring out what to see. For a good starting point, check out our video about the Top Ten things to See in Vatican City. Monday – Saturday: 9a.m. – 6p.m. The Vatican Museums are closed on Sundays, except for the last Sunday of the month. On this day, the ticket office closes at 12:30p.m. Also, it’s free on this day. Regardless of when you arrive, you may spend as much time as possible inside. Important! If you pre-purchase a discounted ticket, be prepared to show proof of eligibility for the discount. If you’re unsure about whether or not the museum is free for you, check out the Vatican Museums website for specific info. Children under 6. No reservation is needed. People with disabilities and their companions. If you’re visiting the Vatican Museums with your kids, you’re in luck. The museums are happy to welcome families with children and strollers in tow. In addition, as you explore the collections, there are plenty of restrooms with changing tables and places to sit and take a rest. There’s even a private room for mothers to nurse in complete privacy. If you’d rather let someone else handle entertaining the kids, consider going on a Family-Friendly Vatican and Sistine Chapel Tour. Remember to abide by the Vatican dress code. Cover your shoulders and avoid shorts and short dresses and skirts. We know that Rome gets hot in the summer, we suggest bringing a light scarf to wrap around yourself when you need to. Hats, food and metal tools like knives and scissors are also not allowed (sorry if you planned on bringing a machete inside, you’ll have to leave it at coat check). Animals are also not allowed inside, with the exception of guide dogs for the visually-impaired equipped with a muzzle and leash. If you have a therapy animal, you should be fine. However, remember to bring your certification. Visiting St. Peter’s Basilica is free, but there are other barriers to getting inside. If you guessed long lines, you’d be correct. Unless you go in the early morning, you’ll find yourself waiting in a long line. If you aren’t visiting the basilica with a tour guide, plan on getting in line first thing in the morning. On the other hand, if you book one of our Rome tours of the Vatican, skip the line entrance to St. Peter’s is included on most. There are several reasons why St. Peter’s Basilica is a must-see destination for anyone visiting Rome. Built atop a 4th century church and completed in 1626 after 120 years of construction, the 187 meters long interior of St. Peter’s Basilica is nothing short of majestic. Michelangelo’s Pieta , sculpted when he was just 25, stands at the head of the right nave. Next up is Bernini’s famous Baldacchino. Supported by four spiral columns and constructed from bronze ‘borrowed’ from the mighty Pantheon. The basilica is closed on Wednesday mornings due to the Papal Audience. If you’re interested in attending one, read on. From April to September: 7a.m. – 7p.m. From October to March: 7a.m. – 6p.m. Every Wednesday at 10:30a.m., the pope addresses crowds in St. Peter’s Square in several different languages, gives a themed speech and leads prayers. Tickets are always free. In June and August, the papal address takes place in Castel Gandolfo near Rome. When the pope is in Rome, he blesses the crowd in St. Peter’s Square on Sunday at noon. You don’t need tickets to attend the blessing on Sundays. The most direct way to request Papal Audience tickets is to download the appropriate form to fax in. Unfortunately, the Vatican is old-school and they don’t use email for this process. It isn’t difficult to get tickets to most Papal Audiences on Wednesday morning, but you do have to plan in advance. After you fax your completed form in, then you wait to hear back. You will only hear back if you are granted tickets. Get there as early possible – the Swiss Guard starts letting in people at 8a.m. Bring water and a snack (you might be hanging around for quite a while. In summer, protect yourself with sunscreen and a hat. Before you request tickets, check the schedule ahead of time to make sure Pope Francis is in Rome. If the Papal Audience is at capacity, a ticket does not guarantee you entrance (see the first tip). The Vatican City, which is it’s own state, is encircled by a two mile border with Italy. That’s right, while it’s surrounded by Italy, it’s not a part of Italy. There are a lot of walls in this world, but the Vatican City is the only country on earth surrounded by a wall. Within the wall sits a hundred acres of land governed by the Holy See (Santa Sede). Of course, the Executive in Chief is none other than his holiness, the beloved Pope Francis. The Vatican has been it’s own independent city state, or country, since 1929. The Italian government, led by Benito Mussolini, recognized Vatican City as independent in the Lateran Treaty. This agreement promised the Roman Catholic Church financial compensation for the loss of the Papal States. The Vatican ruled over much of Italy from the 8th century to 1861. In the 19th century, Italy went through a reunification process and the Vatican became part of the larger kingdom of Italy under King Victor Emmanuel II. Throughout the course of history, the Vatican has operated as a self-governing body much longer than not, without only about 70 years that they were not their own country. There are three ways to visit the Vatican. This is the person who shows up to the door at the Vatican Museums who didn’t take into account the lines because some someone in a bar told them it would work out fine. However, there’s nothing cool about getting stuck in line for hours. Don’t choose this option. If you plan on visiting the Vatican Museums and St. Peter’s Basilica on your own without a good, book ahead! Skip ahead to our section about how to buy tickets in advance. This is a perfectly acceptable way to visit Vatican City, but be prepared, it takes a bit of leg work. Take all the guesswork out of visiting one of the largest art collections on earth. Sure, this sounds biased since we are The Roman Guy, but we got into this industry for a reason. 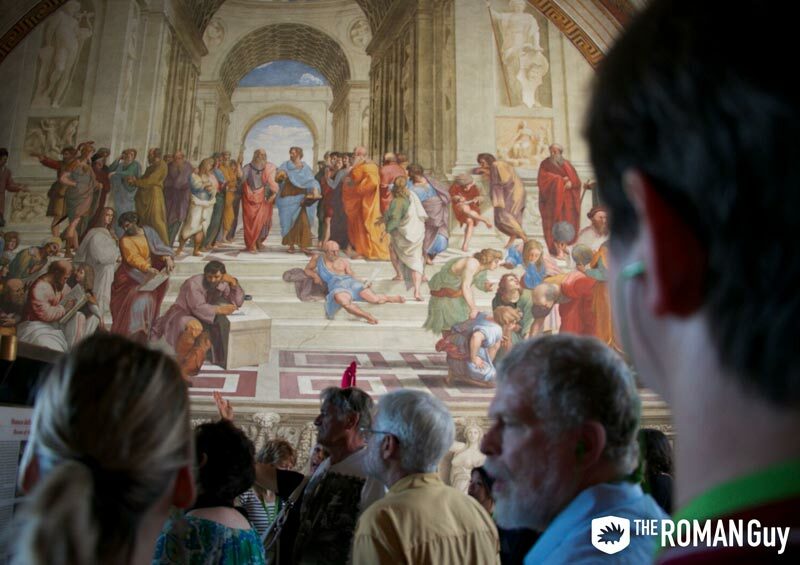 Tours are fun, and let’s face it, there’s a ton to see in the Vatican Museums. In addition, you don’t have to worry about booking the correct tickets at the right time. Just show up at the meeting spot and follow your guide. Early morning Vatican Tours: Our most popular early morning Vatican tour starts at 7:30am and goes inside at 8a.m. after a brief security check. Express Vatican Tours: See more of the collections in less time with the option of early 8a.m. entrance. 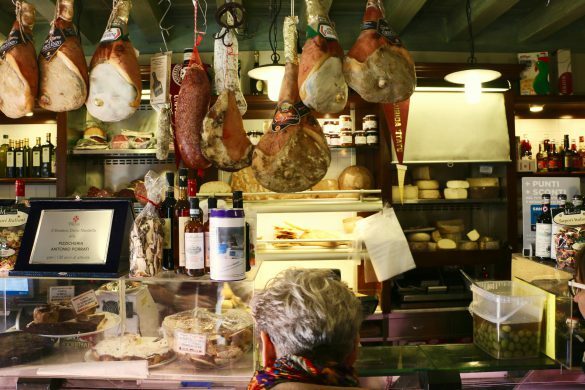 This is a good option if you’re doing Rome in a day. Comprehensive five-hour Vatican Tours: Cover more galleries in detail to see as much as possible. Castel Gandolfo Vatican Tour: Besides the Vatican Museums and Sistine Chapel, this day trip from Rome includes a train ride from Vatican City to Castel Gandolfo to visit the Pope’s Summer Residence. It even includes a delicious lunch! We even made a video about it. 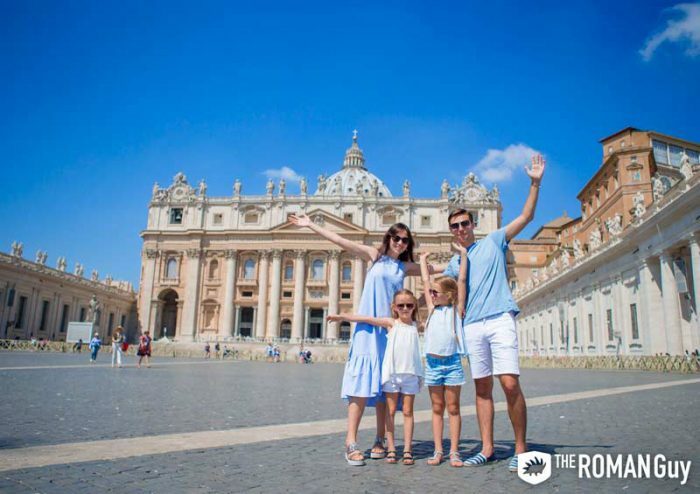 Private Family-friendly Vatican tour: If you’re visiting the Vatican with kids, let us handle the entertainment. We take you your kids on a Vatican Treasure Hunt through the vast collections of the museum. Evening Vatican Tours: Want to see the Vatican at night? Here’s your chance. This Vatican night tour gives you VIP access to the art of the Vatican Museums after closing time without the heat and crowds. Currently a Philadelphia-based jawn. I'm also an animal lover, a writer and a daydreamer. Although I'm loyal to my hometown of Venice, California, I admit that it is a pale imitation of the original in Italy. I'm not an Italian-American, but cacio e pepe and gelato still make me swoon. Why was the Roman Colosseum built? Hey Eric! Thanks for reading our blog. We’re so glad you enjoyed reading!